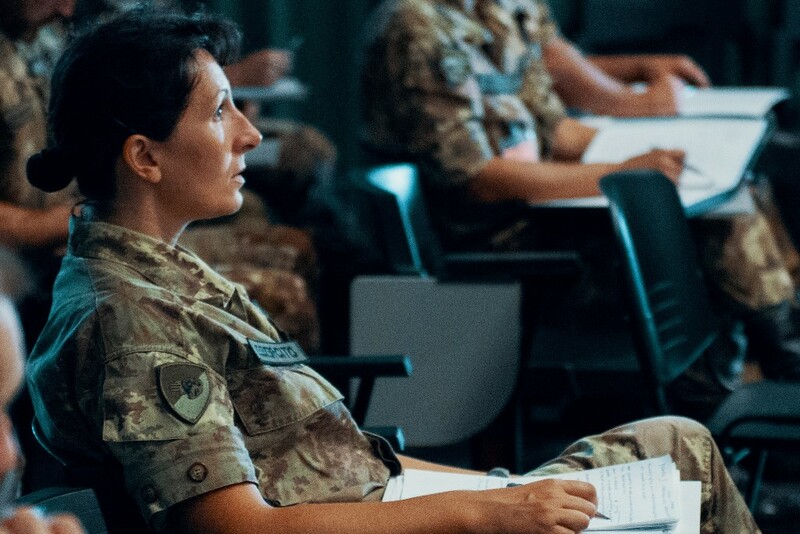 Several Officers coming from different Italian Army units attended a course focused on both the theoretical, and practical, issues of Long Term operational planning. The training event was organized, and supervised, by the multinational staff of NRDC-ITA Ops Division, in particular by J5, whose job is Mid and Long term planning. The aim of the course was to update and increase the preparedness of Essential Augmentees (EAs) to NRDC-ITA on NATO procedures used in Tactical Level planning. EAs are military personnel who might be called upon to support the NRDC-ITA for selected operations or training activities, thus complementing its manning structure with specific expertise. 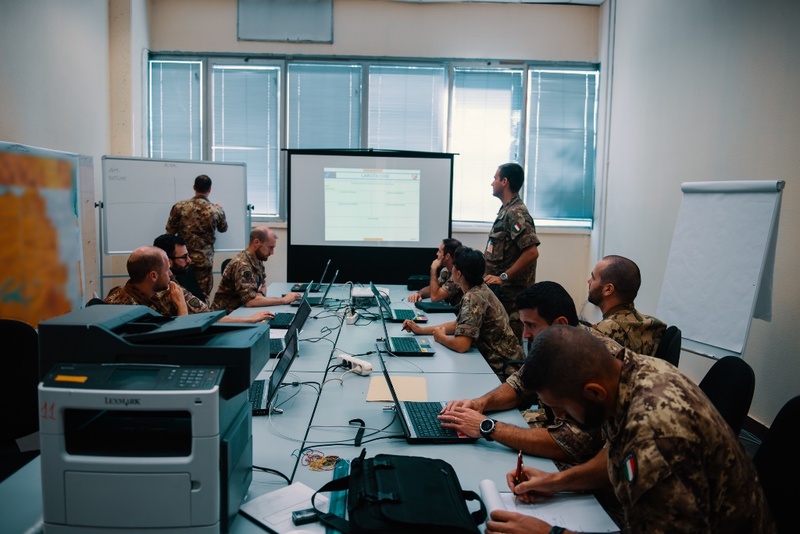 During the course, the NRDC-ITA instructors taught all procedures proven and adopted by the HQ’s staff properly to conduct a Long-term Planning Process for a Land Component Command (LCC) level HQ; and captured well within the manual entitled “NRDC-ITA planning process as Land Component Command (LCC)”. The operational planning process aims to quickly develop a flexible, sound, and fully integrated and synchronized plan. However, any operation may “outrun” the initial plan. The most detailed estimates cannot anticipate every possible branch or sequel, enemy action, threat action, or reaction from the local population, unexpected opportunity, or change in mission directed from higher HQ. Fleeting opportunities or unexpected enemy actions may require a quick decision to implement a new or modified plan. When this occurs, units often find themselves constrained by time. So, anticipation, organisation, and prior preparation are the watchwords for successful planning under time-constrained conditions. Again, NRDC-ITA provided the Italian Army, and the Alliance, with quality training for staff personnel. Through the course, all officers assigned as NRDC-ITA EAs had practised, refined or acquired the NATO planning procedures, thus improving their professional skills fully to be integrated into the NRDC-ITA structure, other multinational HQs, or better to work in the G3 and G35 branches of their formations and units.